This Manna-Fest package “Angels & Giants” is a teaching that deals with one of the greatest mysteries of the Bible. A race of giants once lived on earth, before and after the flood of Noah. Hebrew Scriptures, early church fathers, and Jewish historians recorded that giants were the offspring of fallen angels that were eventually removed from the earth and were placed in confinement, according to Jude 6 and II Peter 2:4. Also inlcuded along with this DVD is a single audio CD entitled, “Is America Headed for Leviticus 26?” Learn how the war on terror, missing bees, high fuel costs, and foreign nations buying out America all parallel the warnings God gave ancient Israel in Leviticus 26, about what happens when his people break their convenant with him! You will be stunned to see how America’s cities may be on the brink of selective judgment. Learn what the church can do to delay it! 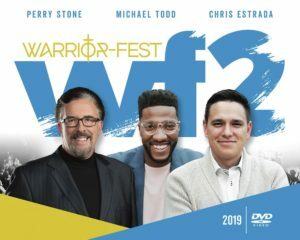 Gods Feasts Package includes a single DVD entitled, “Prophetic Discoveries Hidden in God’s 7 Appointed Feasts” along with a 2-CD audio album entitled, Satan’s Counterfeit Feasts. 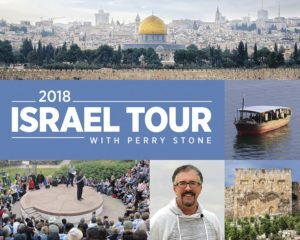 On this 2-hour DVD, Perry Stone presents hundreds of hours of detailed Hebraic research into a fascinating study of the seven feasts of Israel! Explore the practical and prophetic meanings of the feasts, including many traditions and customs seldom taught in Christian churches. Discover the future prophetic events to occur during the seasons of the three fall feasts. This is a powerful teaching with incredibly detailed insight! This is the 5th book of the popular series, “Unusual Prophecies Being Fulfilled” written by Dr. Stone. In it you will understand the prophetic times and seasons we are living in as well as learn Jerusalem’s mysterious connection to the Ancient Garden of Eden and how Christ will restore paradise on earth! Also, you will receive a powerful DVD teaching on the bloodline of the Antichrist. From Cain to Babel, from Ishmael to today, see where the bloodline ends! This is a powerful last day teaching on the 7 types of spirits that the enemy has assigned against believers. Learn how to recognize these spirits and equip yourself for battle to defeat them! Also, Perry’s “Breath of the Holies” book has just been reprinted. Explore the tabernacle in Heaven and the many mysteries of the Holy place, the Ark of the Covenant, and the Breath of the Holies. A 2-hr DVD entitled “Return of the Ancient Spirits” which teaches of how ancient prince spirits that once ruled mighty empires, now bound in the Abyss, will be released upon the earth in the near future. Discover the location of Satan’s command center and how principalities take dominion over cities and nations. Learn about the invisible side of prophecy. Also in this teaching Perry exposes the chief spirit ruling over America and the spirits controlling large American cities. 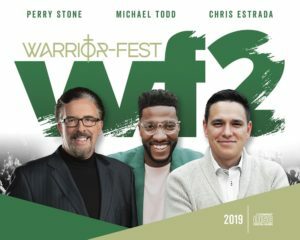 This powerful teaching will open your understanding to the unseen war – a war that will climax at Christ’s second coming! This wonderful set of CDs includes topics like: Under Attack, 3 Levels of Conflict, 3 Levels of Disobedience, Customized Temptations, Assignments & Seasons and much more. This package is absolutely the one you must have! Don’t wait or delay… you’ll want to get this now while they last! Major events are coming to America and Israel based on the 400, 50 and 40 year cycles that will merge in 2007 and 2008! This CD explains why! And this new book is packed with 10 years of research to help anyone who wants to overcome and defeat his or her spiritual enemies! End time Bible prophecy is clearly unveiling itself with current events and signs and wonders. This package is a look into prophecy like no other! We encourage you to get a copy of this powerful audio message and new book that is being considered Perry’s most exciting Hebraic study in many years!